In all the public mourning for Prince in the six months surrounding his untimely passing, two very important members of his family have been left out of the conversation: his pet doves. Of course. The doves. Excuse me? The doves? Prince had two doves — Majesty and Divinity — whose singing could be heard throughout the compound when the singer was alive. They’re even credited as “ambient singing” on his album One Nite Alone... And, since the singer died, Paisley Park has been eerily silent, devoid of bird song as Majesty and Divinity mourn, too. “After he passed, they weren’t talking,” Nelson told Roker. So she encouraged the staff to play some of Prince’s music to make things sound a little more like home. 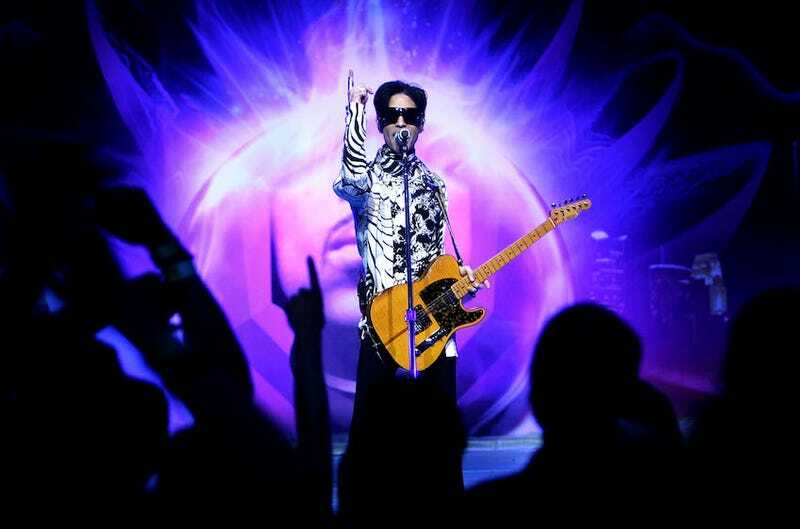 The doves responded in kind and Roker himself confirmed that as he walked through Paisley Park, he could hear them, back at it again with the crying. “I heard these sounds when I was here earlier and it is literally doves crying right now,” Roker said. Good! I’m glad Divinity and Majesty are doing okay. After some zoning issues with the city of Chanhassen, Paisley Park will open to the public for a very limited time: Thursday, Saturday and October 14th.